NHM UP Admit Card 2018 is out. Candidates who had completed the application process for Staff Nurse, Lab Technician, OT Technician posts and waited for the admit card or hall ticket here is the excellent news for everyone. The National Health Mission, Uttar Pradesh had released the NHM UP Admit Card 2018 through the official website. For this, the examination will be held on 4th November 2018. The National Health Mission (NHM), Uttar Pradesh organization issued ANM, Staff Nurse, Lab Technician Hall Ticket 2018 on 25th October 2018. The NHM UP Admit Card 2018 download link is avaliable at the end of this article. The NHM UP Admit Card 2018 carries all vital information about the examination and the applicant information. It is a mandatory document for the written exam. So all the applicants without any negligence must carry the NHM UP Admit Card 2018 for the examination hall. Applicants will need to check the official website to know more information about this recruitment. Further details on the NHM UP Admit Card 2018 provided in the below section. 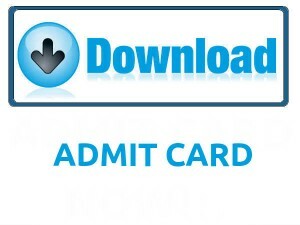 The NHM UP Admit Card 2018 is available now to download. The National Health Mission (NHM), Uttar Pradesh organization officially uploaded the NHM UP Admit Card 2018 for various positions recruitment through official website www.upnrhm.gov.in. The National Health Mission announced the examination date. When downloading the Staff Nurse, Lab Technician Hall Ticket 2018, the applicants need to check the information on it. If the applicants find any correction then immediately inform the management of National Health Mission(NHM), Uttar Pradesh. The more details like notification, important dates, steps to download the admit card, details in admit card, essential documents need to carry for the exam has given below. The candidates can also check the All India Exams Admit Cards on one page through this article. Without the hall ticket, the organization will not allow writing the examination. Through this NHM UP Admit Card 2018, the management will easily find the fake candidates in exam center. The NHM UP Staff Nurse, Lab Technician Hall Ticket 2018 has essential details like Candidate Name, Photograph of the candidates, Exam name, Exam Center Name, Exam Center Code, Exam Center Address, candidates Address, Mother or Father Name, important instructions for the examination. Everyone can attend for 20 minutes before the exam and check the information of examination instructions in the back of admit card. The applicants must carry any Identity along with hall ticket for security reasons. Exam Date 4th November 2018. The National Health Mission(NHM), Uttar Pradesh will go to conduct the recruitment process through written test and interview process to recruit the suitable candidates. The organization will conduct the written test as a first round of screening the candidates because in these days everyone had shown interest in govt jobs like this. After the written test, the qualified candidates will need to face the interview. Finally, the applicants will go through the certificate verification. For more selection process the candidates need to check the official notification of NHM, UP. And essential instructions for the examination. The NHM UP Admit Card 2018 will play a vital role in the National Health Mission Examination 2018. Aspirants should download the NHM ANM, Staff Nurse, Lab Technician Hall Ticket 2018 after official declaration. By verifying the Hall Ticket, candidates will come to know about the exam date, time and venue. Aspirants can revise preparation for the National Health Mission Exam 2018 until the Test date is approached. Aspirants are suggested to attend the examination center at least 30 minutes before the examination. Competitors need to download the NHM UP Admit Card 2018 few days before of the NHM examination. Aspirants if you have any doubts related to the downloading process, then take a look at the below-provided downloading steps. The applicants need to visit the NHM, Uttar Pradesh web portal, www.upnrhm.gov.in. Aspirants will need to check the notification belongs to suitable position exam. Search for the selected position NHM UP Admit Card 2018 download link. Click on the link and enter the required details like application no, date of birth, etc. Submit the details and download the NHM ANM, Staff Nurse, Lab Technician Hall Ticket 2018. Save or Take a hard copy NHM ANM, Staff Nurse, Lab Technician Hall Ticket 2018 to submit to the examination center. We hope the above article will more helpful to who had applied for the NHM UP Admit Card 2018 for positions like Staff Nurse, Lab Technician, OT Technician, and Other posts. Leave a comment in below comment box if there will be any queries. For more updates like Recruitment, Syllabus, Previous Papers, Answer Keys and others click on Sarkari Recruitment Thank you.